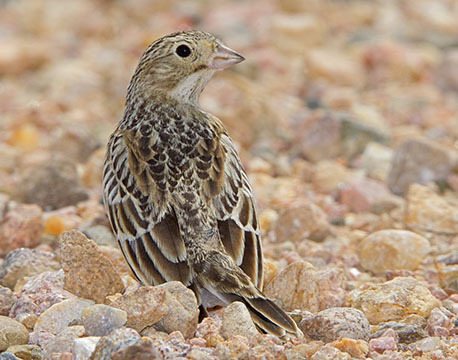 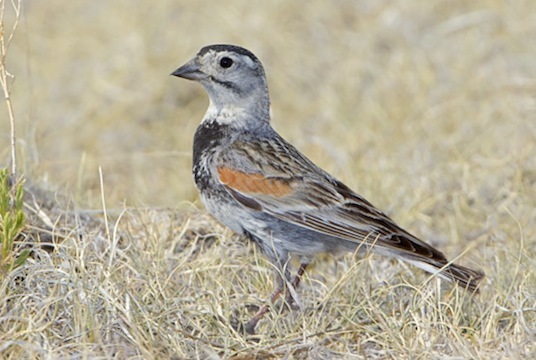 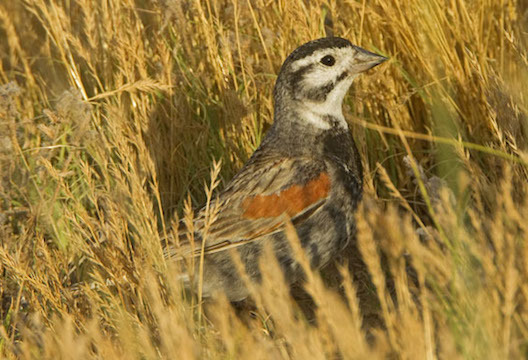 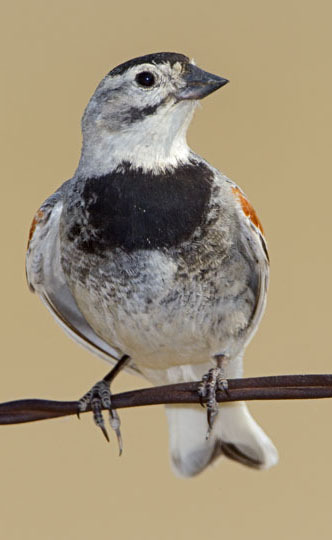 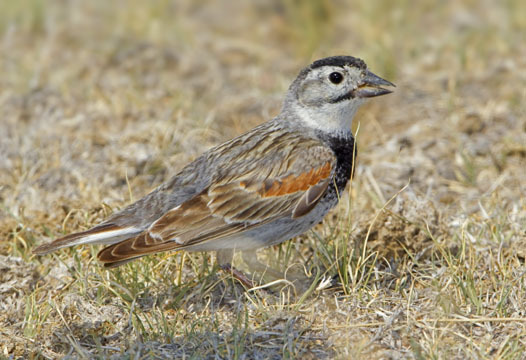 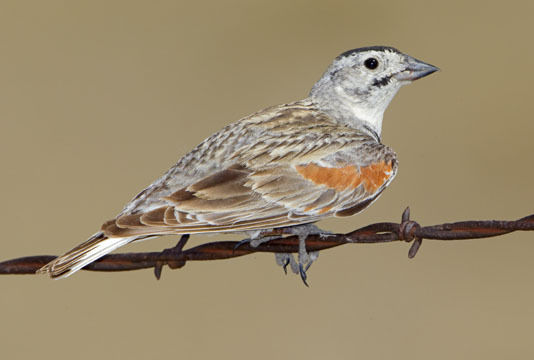 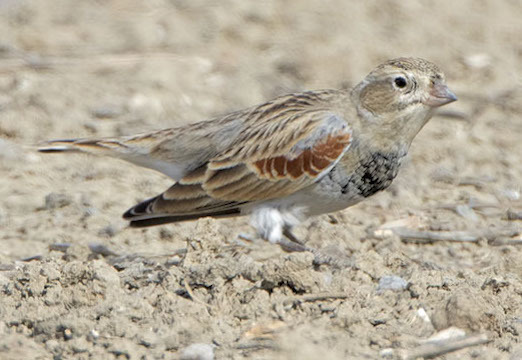 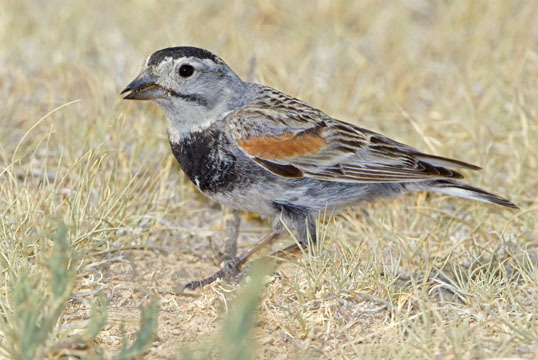 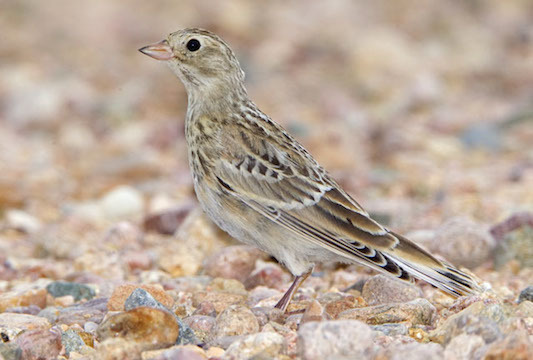 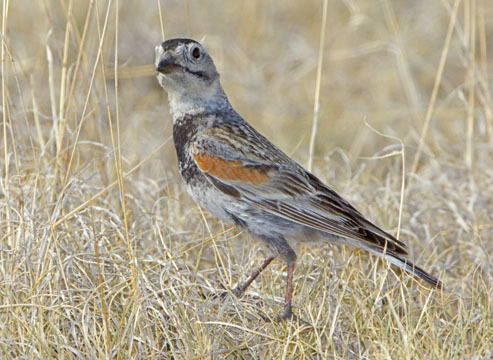 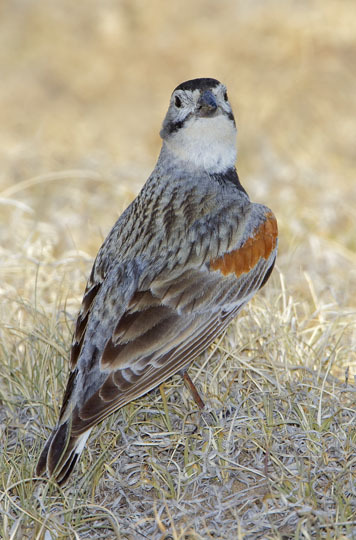 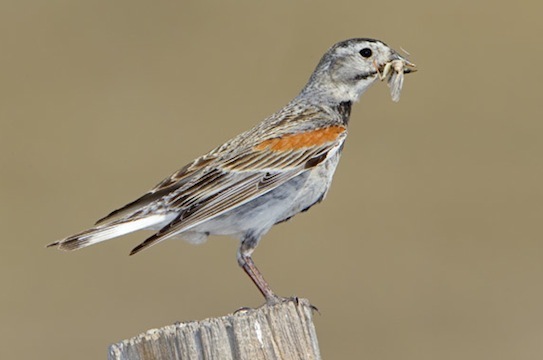 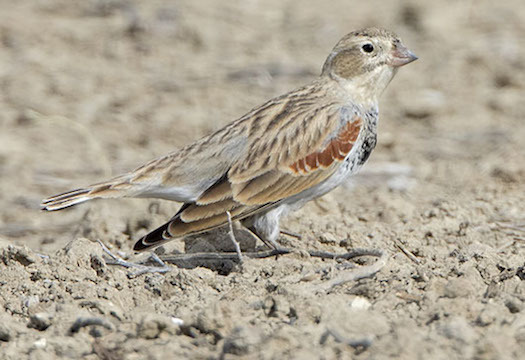 McCown's longspurs are birds of open dry prairies. 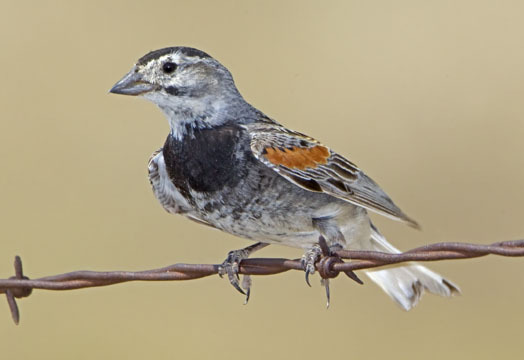 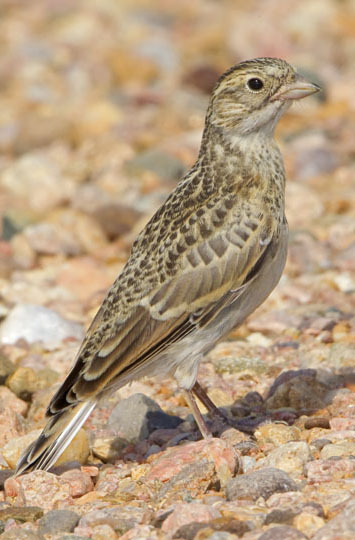 They breed on the northern Great Plains and winter farther south in Texas and vicinity (rarely to California). 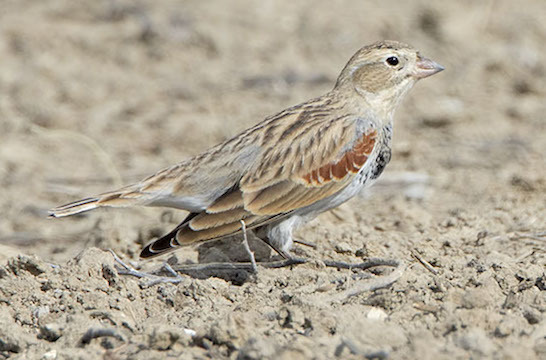 Breeding-plumage adult males (most of the birds shown on this page) are distinctively marked with black-and-white faces, black chests, and chestnut 'shoulders'; females and young birds are more sedately marked. 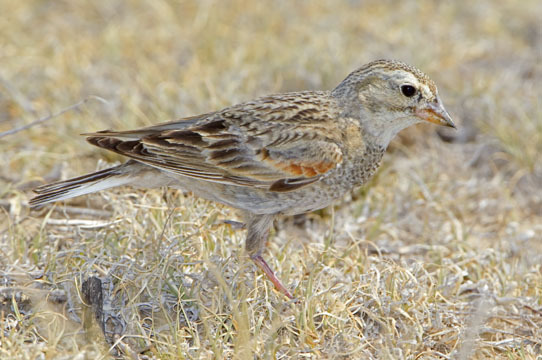 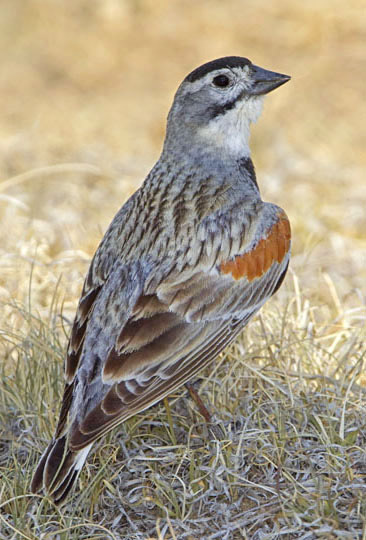 Most were photographed in on the Pawnee Grasslands in northeastern Colorado; the winter bird was near Riverside, California.